Pink peonies are my favorite flowers. They're luscious, feminine, rare, and bloom for just a few weeks in late spring signaling the blooming sweetness of summer's arrival. 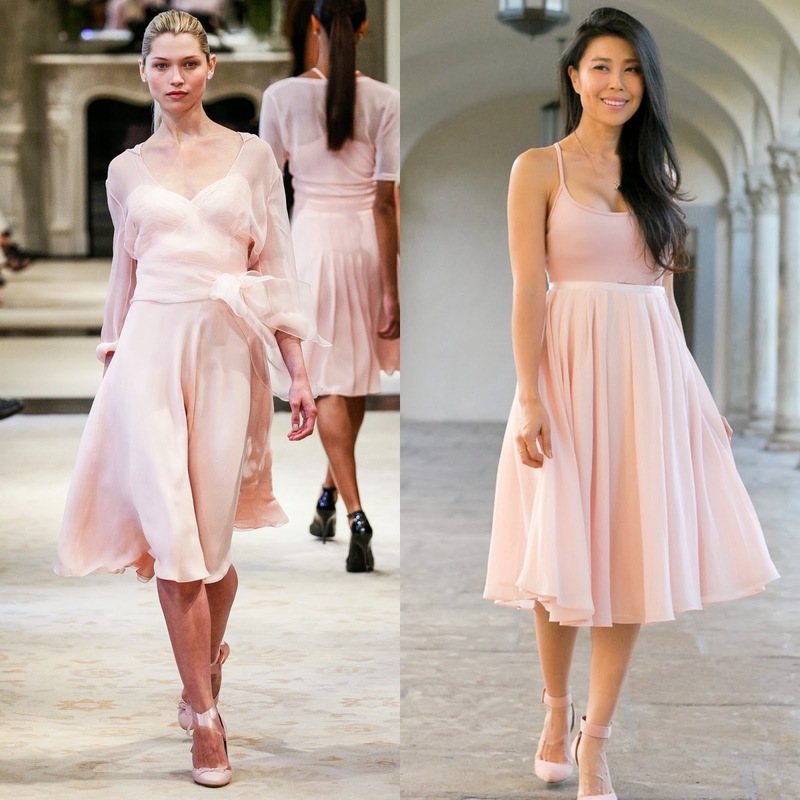 The Ralph Lauren Resort 2014 collection, with its delicate notes of soft pink, is one of my favorites as it's reminiscent of my favorite flower. 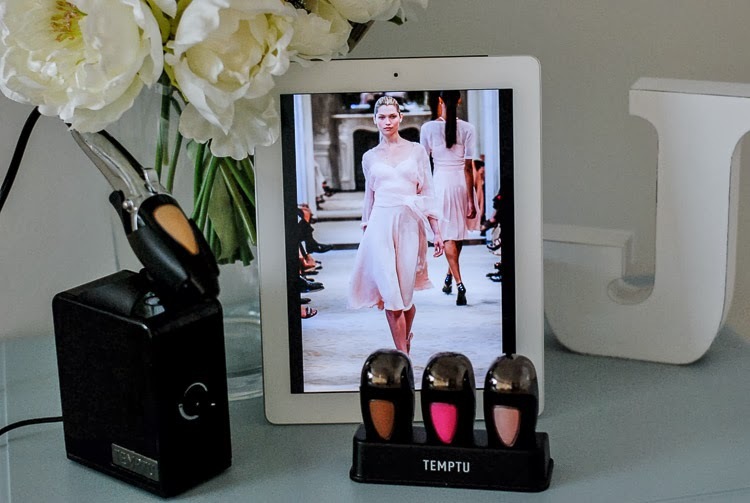 Inspired by the collection, I recreated the runway look with the help of TEMPTU products. This was my first time using airbrush makeup as I've always been quite intimidated by the concept and categorically placed them in the realm occupied by professional makeup artists. But TEMPTU has shifted my perspective. The airbrush system is easy to use and definitely doesn't take hours to perfect. In fact, on my very first attempt, I was able to spray on the foundation, blush, highlighter and bronzer in about twenty minutes. The system comes with the base, the spray, the tray, and the nozzle connector. Each airbrush cartridge can be easily detached from its case and placed into the spray. I shook the cartridge before each use and pumped the inside nozzle to loosen the paint. Once attached to the spray, I turned the setting to low as I wanted a subtle effect, and positioned the spray about ten inches from my face. 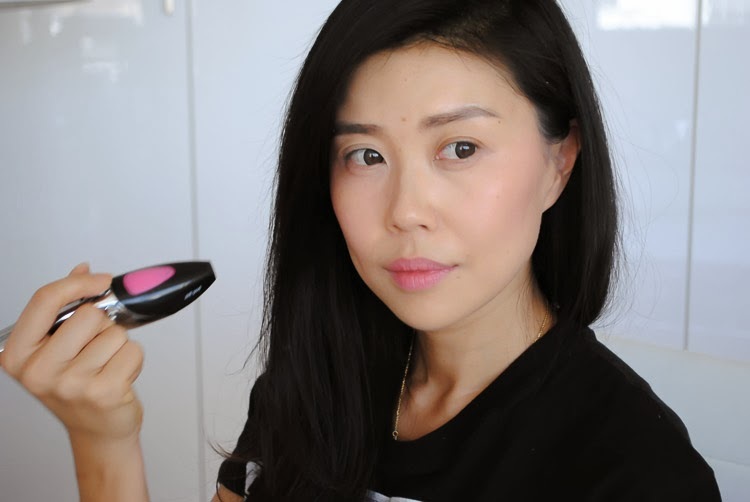 The foundation was easy to apply and required just one light layer for medium coverage. Although the blush (coincidentally in the color peony pink) looked bright pink inside the cartridge, it created a subtle pink flush when sprayed in a circular motion on the apples of my cheeks. I used the matte bronzer to contour the sides of my face and my forehead to provide dimension and definition. The last product, the highlighter, was gently sprayed below my eyes to illuminate and brighten the area. My skin definitely looked dewy and soft as the airbrush makeup created a subtle and natural glow. I then used a few of my favorite beauty products to supplement and complete the look. Scroll to the bottom to check out the step by step video tutorial detailing my first TEMPTU experience! Although it's only February, I'm already envisioning the luster of pink peonies filling the air with the hope and excitement of a fabulous summer! Do you Temptu? 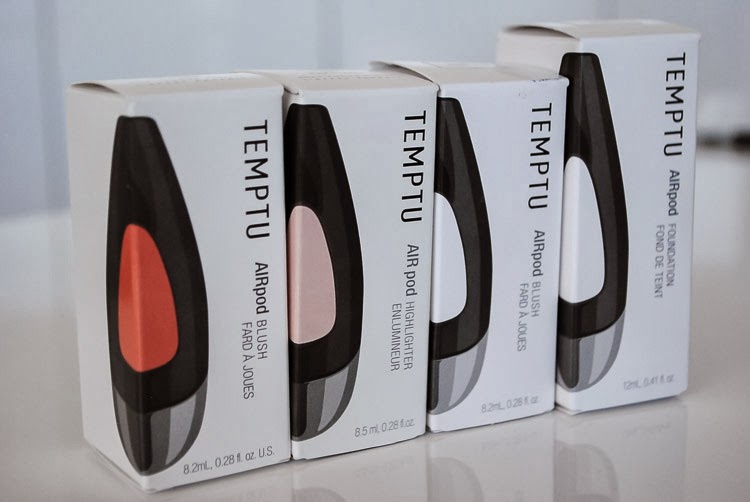 Click here to get a Temptu Starter Kit featuring three colors! And be sure to like my look on FashionIndie to win the ultimate beauty make-over! 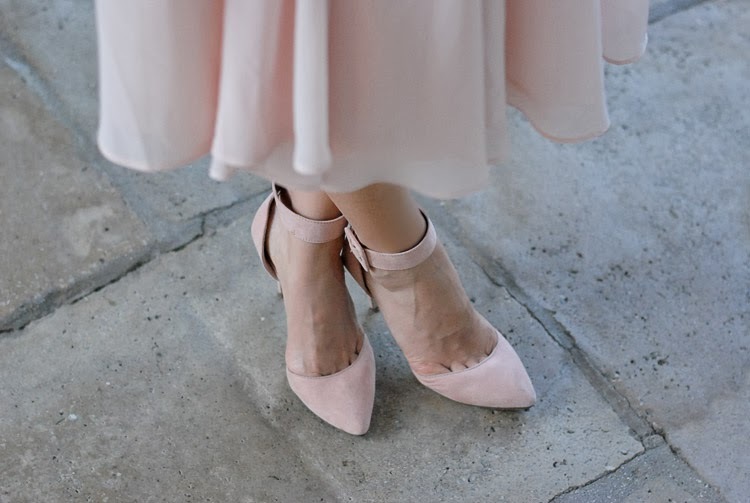 Beautiful and girly in this pink! Reminds me pf a ballerina. Make up is prefect too. absolutely love that color on you! that dress is gorgeous!